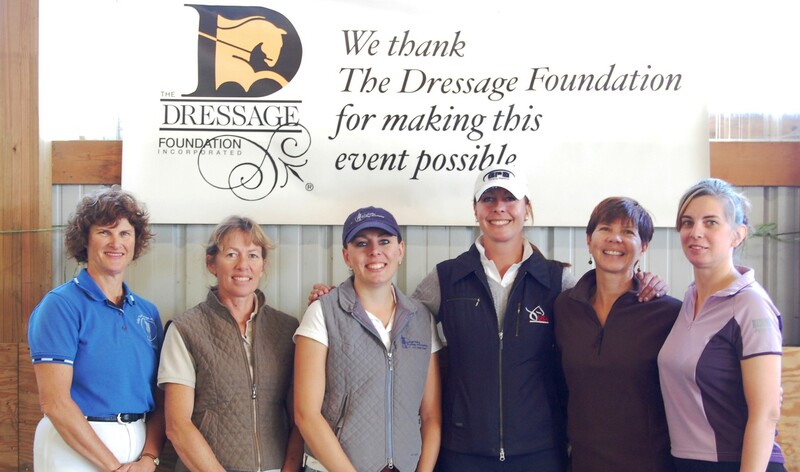 Listed below are brief descriptions of the grants, scholarships, and programs currently offered by The Dressage Foundation. Use the following codes to quickly determine which grants might be the best fit for you! If you need guidance to determine grants that are suitable for you or your group, please contact The Dressage Foundation at (402) 434-8585 or info@dressagefoundation.org. Captain John H. "Jack" Fritz Young Professionals Grants Grants of up to $500 each are available to individual participants to attend the USDF Young Rider Graduate Program. 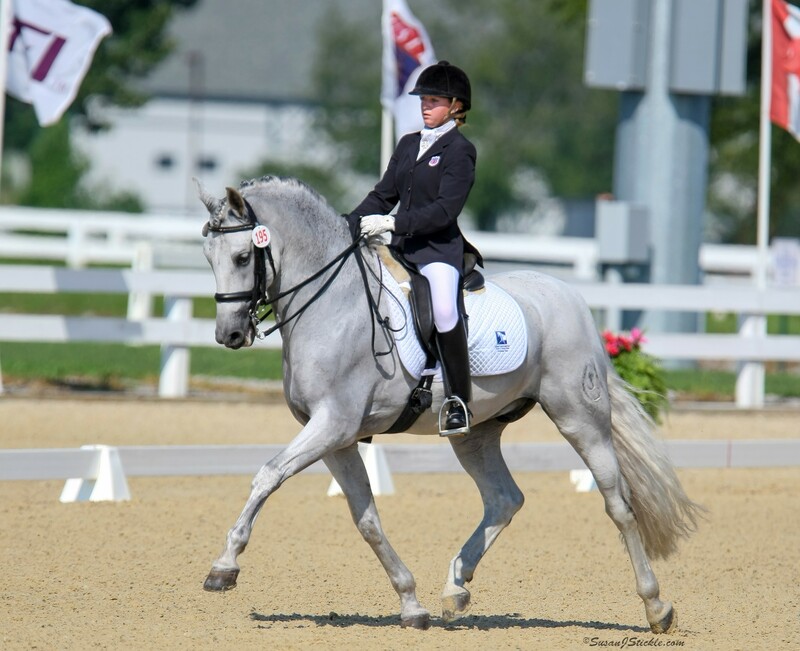 Carolyn Van Cise Memorial Sportsmanship Fund This fund provides one annual grant of $500 to Young Riders in Michigan for attending a specific dressage or eventing educational event. Cynthia Aspden Youth Development Fund The goal of the Cynthia Aspden Youth and Young Rider Development Fund is to provide financial assistance to youth and young adult riders (age 25 and under) to aid in their development in dressage. Grants will typically range in the amount of $250 - $1,000. Dancing Horse Fund Grants are awarded to promote participation in, and improve the quality of, musical freestyle at all levels of dressage. Any non-profit equestrian group may apply for a grant from this fund, up to one time per calendar year. Funding may be used for an educational clinic/seminar or for sound system equipment. Edgar Hotz Judges Fund Provides financial support to USDF Group Member Organizations for "Continuing Education for Judges and USDF 'L' Program Graduates." Up to $800 per USDF Region is available each year. Evie Tumlin Memorial Fund for Region 9 Adult Amateurs Grants will be used for educational experiences that will further the applicant’s knowledge of dressage and are in addition to the applicant’s typical training plan. These events may include camps, clinics, riding lessons, etc. George Williams Young Professional Fund Grants of $3,000 - $5,000 are available for instructors age 25-35 who have an established business, to obtain training and education as a rider and instructor. Gerhard Politz Instructor/Trainer Education Fund for Young Adults Grants are available for instructors age 18-25 to attend the USDF Instructor/Trainer Program. Heldenberg Training Center Fund in Memory of E.L. Dreitzler This fund provides financial assistance to North American, non-professional riders to attend the Spanish Riding School's Training Center in Heldenberg and take part in educational sessions. Karen Skvarla Fund The purpose of this fund is to provide grants enabling young dressage professionals to pursue a variety of training or educational opportunities. One annual grant of $1,000 will be available at this time. Lloyd Landkamer Show Management Development Fund The purpose of this fund is to provide grants to individuals who wish to advance their show management levels. Once the Lloyd Landkamer Show Management Development Fund is seeded with initial donations, grants will be made available to individuals who are seeking assistance for their growth and development as dressage show managers. Maryal and Charlie Barnett Continuing Education for Dressage Instructors Grant Provides grants of up to $1,000 for groups in pursuit of USDF Instructor Certification programs. 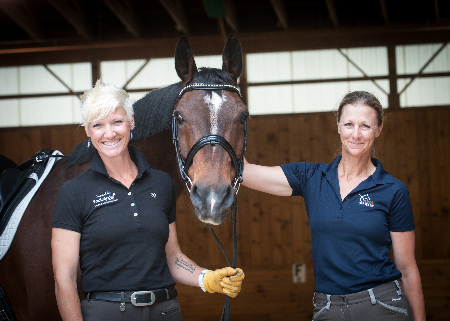 Maryal and Charlie Barnett Continuing Education for Dressage Instructors Grant Provides grants of up to $1,500 for individuals in pursuit of USDF Instructor Certification. Michael Poulin Dressage Fund The purpose of this Fund is to provide funding support for programs and projects that enhance the quality of dressage in the United States, through any and all of its component disciplines - riding, competing, training, instructing, and judging. Preference is given to groups hosting educational events. Oregon Dressage Society Linda S. Acheson Fund The goal of the ODS Linda S. Acheson Fund is to provide grants to ODS, ODS Chapters, and ODS Committees that are organizing educational events which will benefit the Oregon dressage community and help further the mission of the Oregon Dressage Society. Para-Equestrian Dressage Fund Grants of up to $1,000 are available for para-dressage riders to attend educational events. US Equestrian's Developing or Emerging para-dressage athletes are welcome to apply, as well as para-dressage riders who are dedicated to the sport but have not yet been named as a Developing or Emerging athlete. Region 9 Teaching Excellence Award This $5,000 award will recognize and honor excellence in the teaching of dressage, to a USDF Region 9 Instructor. Sally Swift Memorial Fund Provides grants up to $1,000 to any non-profit equestrian group that is hosting a Centered Riding® Clinic. Shannon Foundation Fund for Judges’ Licensing Grants between $500-$2,500 are available to provide financial support to dressage judges to participate in activities related to obtaining a judging license of “recorded” (‘small r’) or higher. Trip Harting Fund Provides $500 in funding assistance to a current or graduate Pony Club member to attend the USDF 'L' Education Program or the USDF Instructor Certification Program. US Breeder Excellence Fund This fund provides financial assistance to U.S. breeders to pursue educational opportunities related to breeding that will advance their careers, promote sound breeding practices, and further enhance the quality of U.S-bred dressage horses. Violet M. Hopkins Fund Provides financial assistance to USDF Group Member Organizations to conduct educational clinics and seminars for dressage riders at all levels. A GMO may apply for one grant of up to $2,000 per calendar year. Young Rider International Dream Program This program takes four top young American dressage riders to Europe for a week-long introduction to European dressage. Applications can be accepted from USDF Young Riders, 16-21 years of age, and 22-year-old riders who participated in Young Riders last year, who are riding at Fourth Level or above.